While water, or the lack of it, has been a hot topic across the region, the Metro Chamber has been playing an important role in policy discussions to protect our water supplies, create solutions to address the current challenges and avoid future water crises. Adding to the complexity, every level of government is involved in the water policy debate. Both the state and federal governments control major infrastructure projects that are critical to assuring reliable water supplies, but their increasing number of environmental regulations create further challenges to sustainability. Cities, counties and other local agencies are tasked with providing the resources to deliver high quality water and manage the groundwater for agricultural, urban and environmental purposes. As a founding member of the North State Water Alliance and working with many regional leaders, the Metro Chamber has been a strong advocate for additional investment in key storage infrastructure projects (both surface and groundwater), and regulatory and operational reforms that would allow our existing infrastructure to operate more effectively by employing best management practices and new technologies that improve reservoir operations. Another critical component of the Metro Chamber’s advocacy work stems from efforts to replace the 2009 water bond on the November ballot. 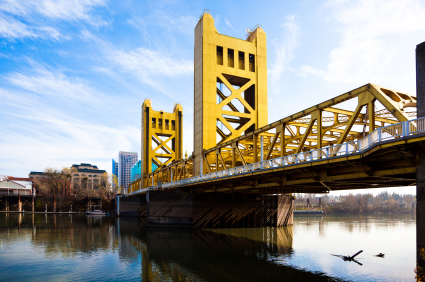 The new measure, Proposition 1, is a $7.5 billion pared-back version that includes three critical elements supported by numerous partners in the Sacramento region. These components include $2.7 billion identified for water storage infrastructure projects, area-of-origin protections and the assurances that the bond is “tunnel neutral” and will not be used to fund a delta conveyance project. A safe and reliable water supply is the cornerstone of a strong economic fabric in the Sacramento region. As the Metro Chamber continues our advocacy efforts, we encourage your support for Proposition 1 on the November ballot and reaffirm our commitment to ensure our regions’ businesses will continue to enjoy safe and reliable water supplies.